Maxi & High Low skirts are a big trend this season and are more versatile than ever with lots of options in shape, fabrics and feminine prints just to name a few....Remember everyone can wear the long skirt, it is all about finding the right proportions and style. At Ambience the trendy, stylish look of the maxi skirt or high low hemline are some of our favorite looks of the season. 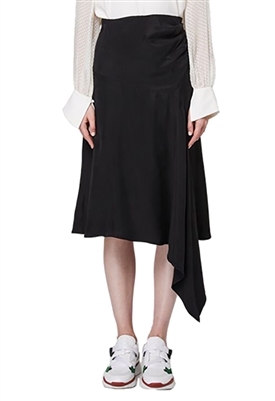 The beauty of the high low skirt is that is combines the best of the mini and maxi silhouette in one. The long maxi skirt is just a great look that carries you from one season to the next. Enjoy shopping our selection.